Next week from the 19th until the 25th of February the International Music Documentary Film Festival, will be presented in city of Athens! Great musicians, powerful stories and unforgettable tunes will meet at IN-EDIT GREECE 2015 – Athens Edition. For a week «ODEON OPERA» cinema, will host the most significant music documentaries of the last years. Freddie Mercury’s solo journey, without Queen, from 1985 until his death in 1991. There will be more screenings, among others, the “lost” documentary made by the Doors for the Doors: “Doors (Feast of Friends)”. The rest of the documentaries along with full program of the screenings (timetable) is available on the official web site of the festival www.in-edit.gr. Book your stay at AthenStyle hostel and enjoy this opportunity that Athens offers you! Athens is a very beautiful city throughout the seasons, but during Christmas time especially it transforms into a lighted, decorated, full of things to do city. If you are here during that time you will have a great a time, and if you are still thinking about coming or not, ready your bags and pay us a visit! Syntagma Square, Ermou street and the downtown district in general have their festive moods on and are the perfect for walking around, and combine your sightseeing with the holiday spirit. In Gazi area there’s the amazing Christmas Factory, perfect for both young and older ones which brings joy and it couldn’t be any more into the Christmas mood. Apart from the walks you could take in the festive Athens, there are many free concerts and book bazaars which can guarantee you a great time! Book your stay with us through our and don’t forget site about our winter deal! Book three days in a row and you get a discounted price! Winter is already here but you are not willing to give up your summer mood? Why don’t you take some Holidays and visit the warmest place in Europe – Greece! Here in Athens, we have a warm autumn – 25 °C during the day – blue almost azure sky with that beautiful yellow ball that shines upon us and keeps our mood batteries charged in full with a positive energy all day long! Don’t get confused seeing people on the streets wearing jackets and scarfs – after 40°C hot Summer it may be a bit cold for some of us! Moreover, here in AthenStyle we continue for another year our Winter Special deal that offers you a unique opportunity of staying with us and enjoying the lowest rates ever! Have a look below! Deals are available on Hostelbookers, Hostelworld and in person at the Hostel! 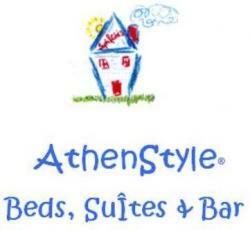 If you need any more info – contact us at info@athenstyle.com!